Home | Products | T-Shirts / Tote Bags | Help Stop Global Warming – Go Vegan! 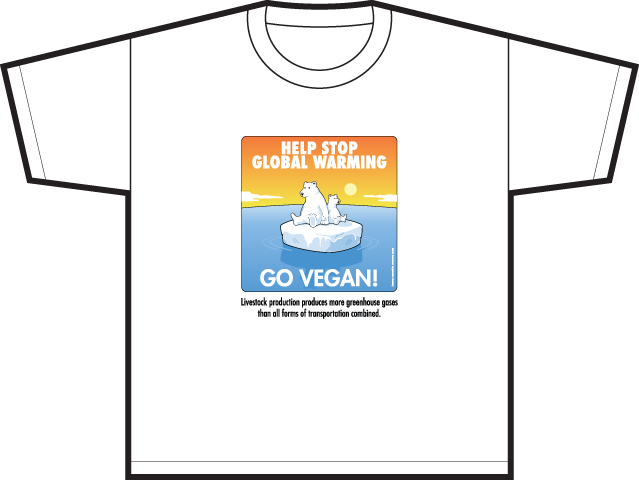 Home / T-Shirts / Tote Bags / Help Stop Global Warming – Go Vegan! Help Stop Global Warming – Go Vegan! Awaken people to the serious impact of meat production on climate change with our colorful T-shirt. Help Stop Global Warming – Go Vegan! Livestock production produces more greenhouse gases than all forms of transportation combined.